Get involved with your community – run for a seat on the Neighborhood Council! Greater Wilshire Neighborhood Council Elections will be held on May 13, 2010. Filing period: The candidate filing period will begin on Friday, February 12, 2010 and end on March 15, 2010. City Hall, 6501 Fountain Avenue, Los Angeles, CA 90038. How to file for candidacy: Download the filing form, call the City Clerk’s office at 213.978.0444 or register at the informational meetings on Feb. 17 and Mar. 6. Candidate categories: Representatives are selected for each of 15 geographic areas and 6 special interest categories. Candidates who wish to file for election in one of the 15 geographic area positions must qualify as a Stakeholder who lives, works, or owns property within the geographic area the candidate seeks to represent. GWNC geographic areas include: Brookside, Citrus Square, Country Club Heights, Fremont Place, Hancock Park, La Brea/Hancock, Larchmont Village, Melrose, Oakwood-Maplewood/St. Andrews, Ridgewood/Wilton-St. Andrews Square, Sycamore Square, Western-Wilton, Wilshire Park, Windsor Square, and Windsor Village. More information on the specific boundaries of the 15 geographic areas can be found on pages 15 and 16 of the GWNC bylaws. Candidates who wish to file for election in one of the 6 special interest categories must qualify as a Stakeholder who participates on a regular and ongoing basis in the special interest category the candidate seeks to represent. The six special interest categories include: Business, Renter, Education, Religion, other Non-profit and At-Large. 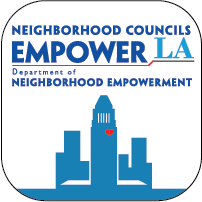 For more information on the election process and other neighborhood issues, please join us at our next meeting,Wednesday, March 10, 2010, 7pm at The Ebell.